What conditions does Ropinirole HCL treat? Tell your doctor right away if you have any serious side effects, including: difficulty moving or walking, mental/mood changes (e.g., confusion, depression, hallucinations, memory problems, trouble sleeping), muscle cramps/spasms, decreased sexual ability, unusual strong urges (such as increased gambling, increased sexual urges), swelling of the ankles/feet, chest pain, unusually fast/slow/irregular heartbeat, vision changes. List Ropinirole HCL side effects by likelihood and severity. 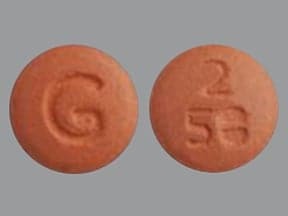 Before using this medication, tell your doctor or pharmacist your medical history, especially of: heart problems (including irregular heartbeat), mental/mood disorders (e.g., confusion, hallucinations, psychoses, schizophrenia), difficulty walking, kidney problems, liver problems, high or low blood pressure, sleep disorder (e.g., sleep apnea, narcolepsy). This drug may make you dizzy or drowsy. Do not drive, use machinery, or do any activity that requires alertness until you are sure you can perform such activities safely. Limit alcoholic beverages. See also Side Effects section. What should I know regarding pregnancy, nursing and administering Ropinirole HCL to children or the elderly? Some products that may interact with this drug are: antipsychotics (e.g., chlorpromazine, haloperidol, thiothixene), estrogens, metoclopramide. Tell your doctor or pharmacist if you also take drugs that cause drowsiness such as: certain antihistamines (e.g., diphenhydramine), medicine for sleep or anxiety (e.g., alprazolam, diazepam, zolpidem), muscle relaxants, narcotic pain relievers (e.g., codeine), psychiatric medicines (e.g., risperidone, amitriptyline, trazodone). Does Ropinirole HCL interact with other medications? If you are taking this for Parkinson's and you miss a dose, take it as soon as you remember. If it is almost time for the next dose, skip the missed dose and resume your usual dosing schedule. Do not double the dose to catch up. If you are taking this for RLS and you miss a dose, skip themissed dose and resume your usual dosing schedule. Do not double the dose to catch up. This medicine is a green, round, tablet imprinted with "54 751". 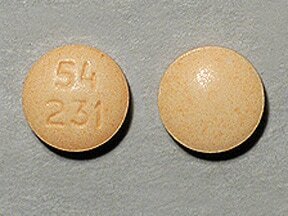 This medicine is a orange, round, tablet imprinted with "54 231". 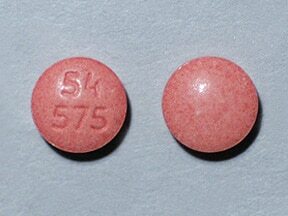 This medicine is a red, round, tablet imprinted with "54 575". This medicine is a brown, round, tablet imprinted with "54 273". 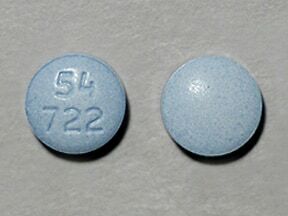 This medicine is a blue, round, tablet imprinted with "54 722". 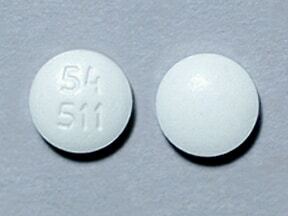 This medicine is a white, round, tablet imprinted with "54 511". 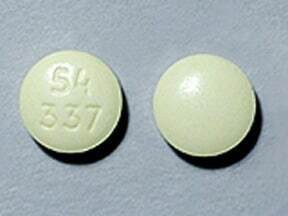 This medicine is a yellow, round, tablet imprinted with "54 337". This medicine is a white, round, tablet imprinted with "M" and "N 25". This medicine is a orange, round, tablet imprinted with "M" and "N 20". 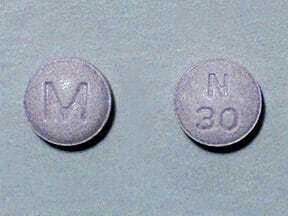 This medicine is a lavender, round, tablet imprinted with "M" and "N 30". 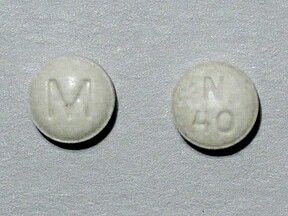 This medicine is a gray, round, tablet imprinted with "M" and "N 40". 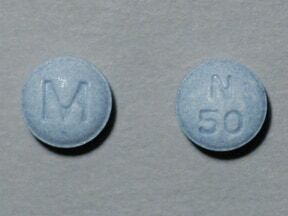 This medicine is a blue, round, tablet imprinted with "M" and "N 50". 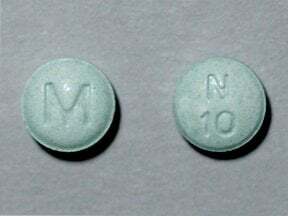 This medicine is a green, round, tablet imprinted with "M" and "N 10". This medicine is a yellow, round, tablet imprinted with "M" and "N 5". 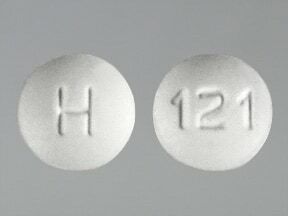 This medicine is a white, round, film-coated, tablet imprinted with "H" and "121". 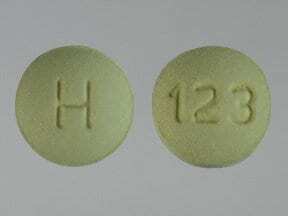 This medicine is a green, round, film-coated, tablet imprinted with "H" and "123". 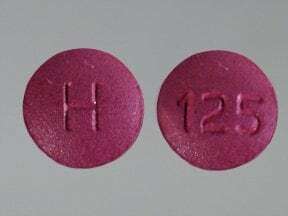 This medicine is a purple, round, film-coated, tablet imprinted with "H" and "125". 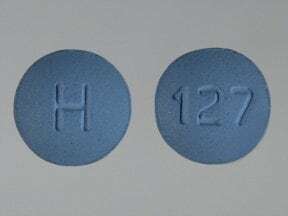 This medicine is a blue, round, film-coated, tablet imprinted with "H" and "127". 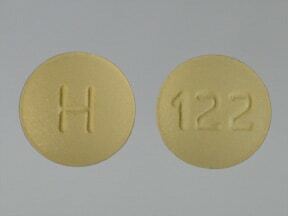 This medicine is a yellow, round, film-coated, tablet imprinted with "H" and "122". 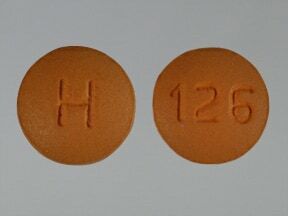 This medicine is a peach, round, film-coated, tablet imprinted with "H" and "124". 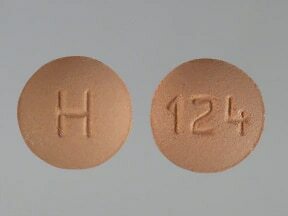 This medicine is a pale brown, round, film-coated, tablet imprinted with "H" and "126". 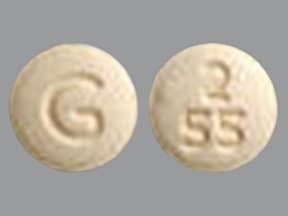 This medicine is a pale green, round, film-coated, tablet imprinted with "2 55" and "G". 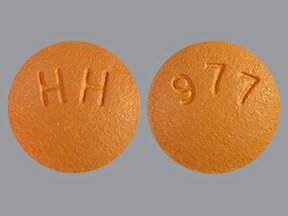 This medicine is a beige, round, film-coated, tablet imprinted with "977" and "HH". 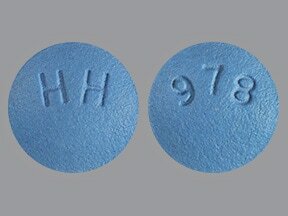 This medicine is a blue, round, film-coated, tablet imprinted with "978" and "HH". 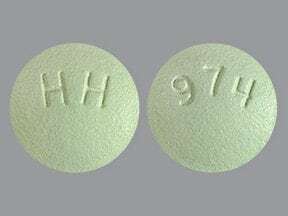 This medicine is a green, round, film-coated, tablet imprinted with "974" and "HH". 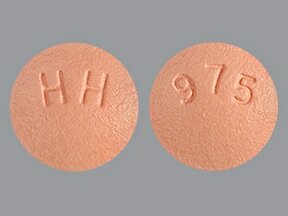 This medicine is a pink, round, film-coated, tablet imprinted with "975" and "HH". 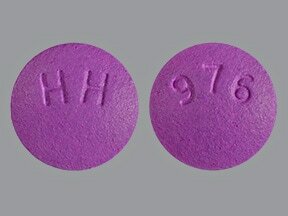 This medicine is a purple, round, film-coated, tablet imprinted with "976" and "HH". 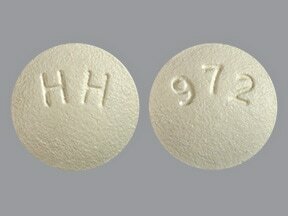 This medicine is a white, round, film-coated, tablet imprinted with "972" and "HH". 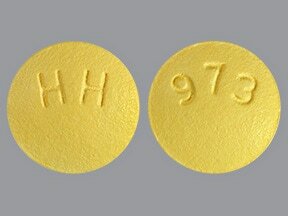 This medicine is a yellow, round, film-coated, tablet imprinted with "973" and "HH". 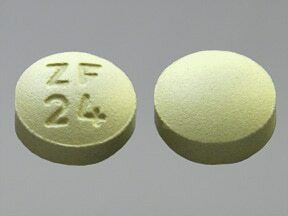 This medicine is a green, round, film-coated, tablet imprinted with "ZF 24". 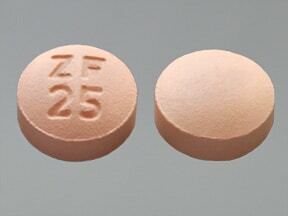 This medicine is a pink, round, film-coated, tablet imprinted with "ZF 25". 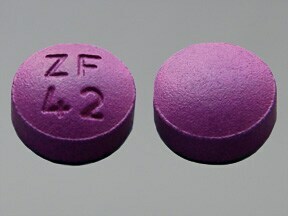 This medicine is a purple, round, film-coated, tablet imprinted with "ZF 42". 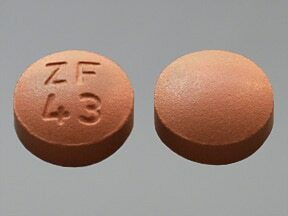 This medicine is a brown, round, film-coated, tablet imprinted with "ZF 43". 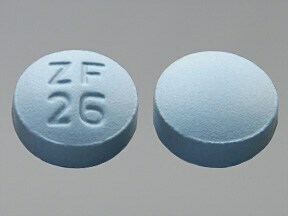 This medicine is a blue, round, film-coated, tablet imprinted with "ZF 26". 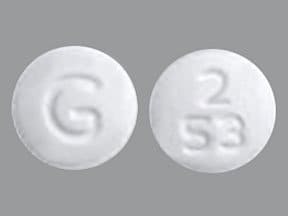 This medicine is a white, round, film-coated, tablet imprinted with "2 53" and "G". 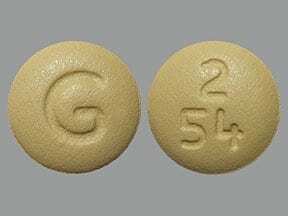 This medicine is a pale yellow, round, film-coated, tablet imprinted with "2 54" and "G". 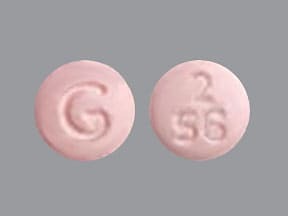 This medicine is a pale pink, round, film-coated, tablet imprinted with "2 56" and "G". 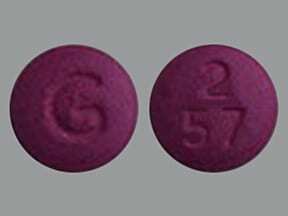 This medicine is a purple, round, film-coated, tablet imprinted with "2 57" and "G". 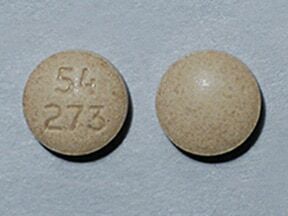 This medicine is a pale brown, round, film-coated, tablet imprinted with "2 58" and "G". 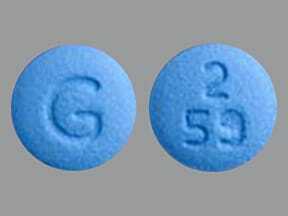 This medicine is a blue, round, film-coated, tablet imprinted with "2 59" and "G". 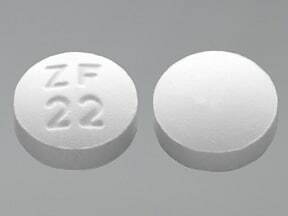 This medicine is a white, round, film-coated, tablet imprinted with "ZF 22". 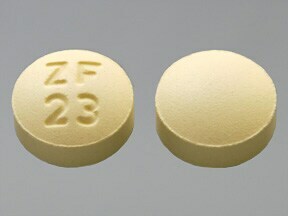 This medicine is a yellow, round, film-coated, tablet imprinted with "ZF 23". Are you taking Ropinirole HCL? Are you considering switching to Ropinirole HCL? How long have you been taking Ropinirole HCL?